Merchants who implement gift card promotions throughout the year earn significantly more revenue than merchants who just offer gift cards when customers request them. With the gift card busy season ended (December to February), now is a great time to offer incentives to buy gift cards. The most successful promotion is a Gift Card with Purchase Program (GWP) aka bonus gift card program. A GWP generates an average return of 30% to 40%. An example of a GWP is “Buy a $50 Gift Card, Receive a Free $10 Gift Card”. Customers view gift cards as tangible goods and respond more favorably to receiving them over a discount off products. A Gift Card with Purchase program has the flexibility to bring revenue to a business when that business needs it most. For example, a restaurant can use GWP to bring customers in on slow nights or a retailer can use GWP to increase sales in slow months. It’s also a great way to generate sales of specific products. For example, a medical office or spa can use GWP to increase sales of skincare or health-related products. It’s even effective for businesses that do not discount their products. 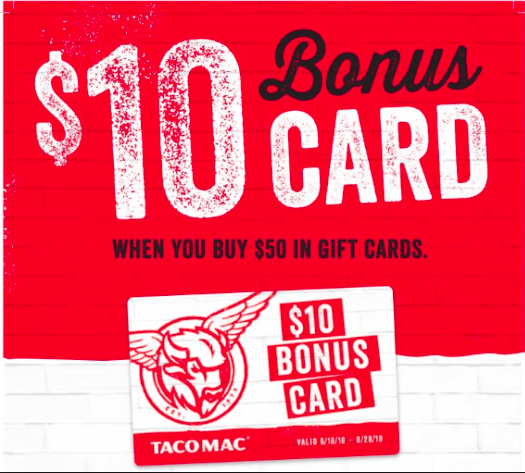 Has low start-up costs since it’s not real money loaded onto the cards; it’s promotional dollars that only count when the gift cards are redeemed towards products/services. Increases average ticket because the threshold is set above a merchant’s average sale amount and customers will spend more to get the gift card. Brings customers back to the business to make an additional purchase to redeem the bonus gift card. Enables merchants to retain customers and build brand loyalty. Can be implemented quickly and inexpensively. Work with a gift card provider experienced in implementing successful GWP programs. Have merchants design new gift cards to reflect the “Gift Card with Purchase” program. Factor4 has implemented numerous GWP promotions for merchants of all types and sizes. The promotions have consistently generated returns of 30% to 40%. To learn more about implementing a GWP promotion, contact Factor4 at 484-471-3963 or sales@factor4gift.com.